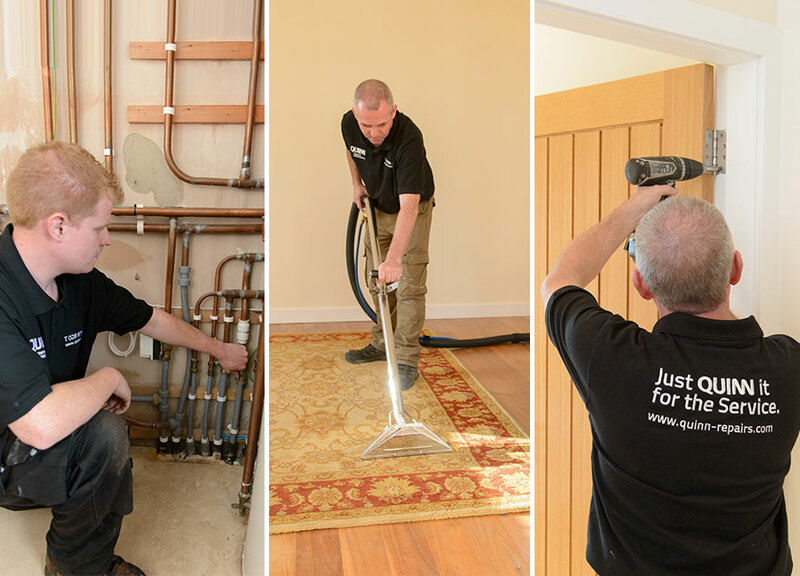 At Quinn we have developed a team of trusted contractors including a Plumber who is OFTEC and Gas Safe Registered, a Joiner with many years' experience, an Electrician with equally impressive experience and qualifications and a great team of Carpet fitters, Cleaners and Painters & Decorators. We ensure that all our contractors carry the correct insurance and remain competitively priced in relation to the services they offer. For landlords of managed properties, this service is hugely beneficial. Having these services on hand together with our buying power sets us apart from our competitors and allows us to deliver an excellent service at competitive prices. As a trusted and reliable brand at Quinn we ensure that all our contractors work to the highest of standards. All workers are fully insured, comply with health & safety legislation and are competent and considerate in their role. Our contactors will offer a 1 year guarantee on all works completed by them in full. please contact our emergency telephone number which can be found in your tenancy documentation.